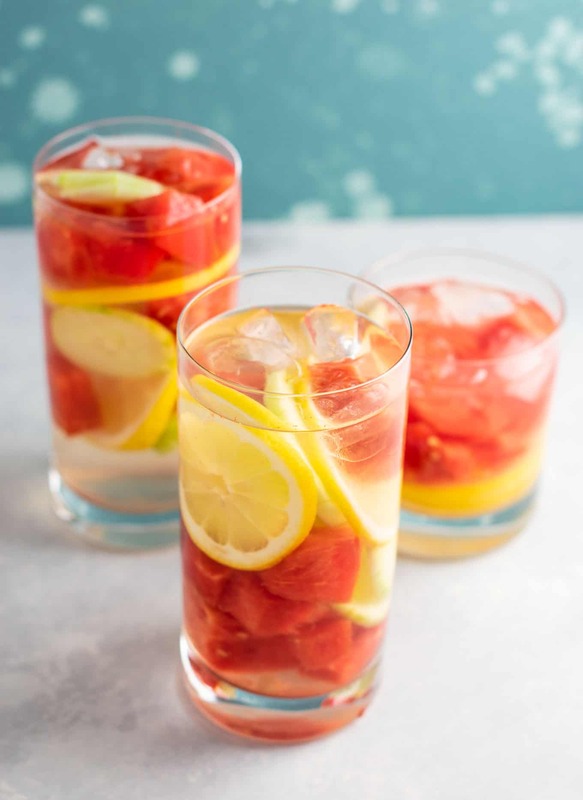 Healthy and refreshing watermelon detox water recipe – perfect for staying hydrated this summer! Watermelon is my life blood in the summertime. From frozen watermelon lime coolers to watermelon lemonade, and watermelon gin slushies, I just cannot get enough! Watermelon is one of those fruits that I simply cannot believe has next to no calories. It’s sinfully delicious and I could totally eat a whole watermelon in one sitting. 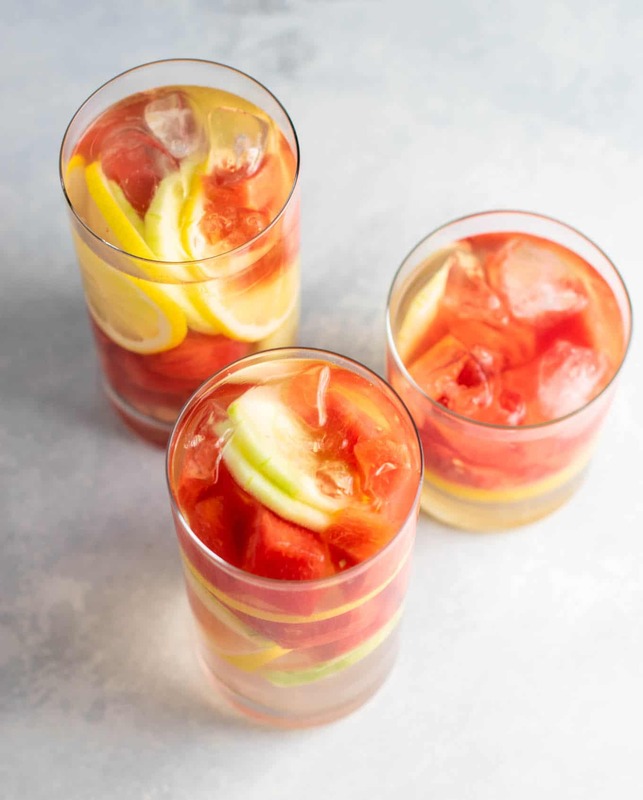 This watermelon detox water recipe uses a heaping amount of fresh watermelon with some sliced lemons and cucumber to bring all of the flavors of summer to your mouth. 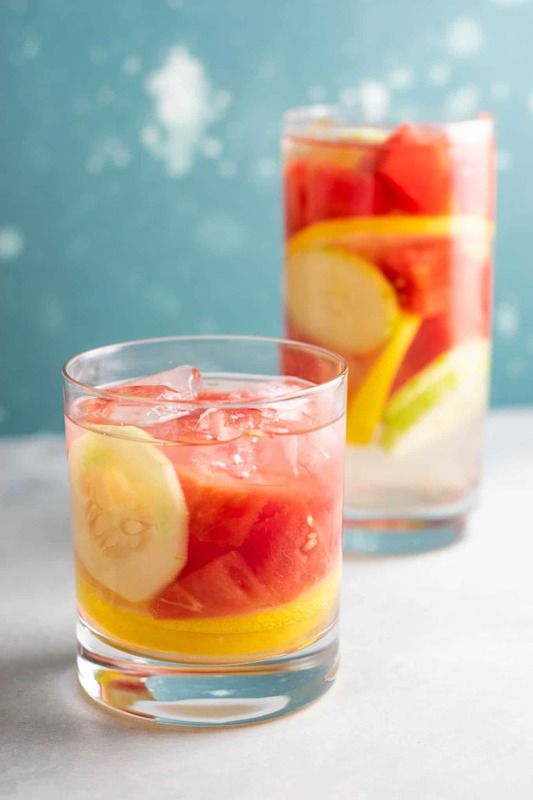 Combine watermelon, cucumber, lemon, ice and water. Stir to combine. Let sit in the fridge or drink immediately. 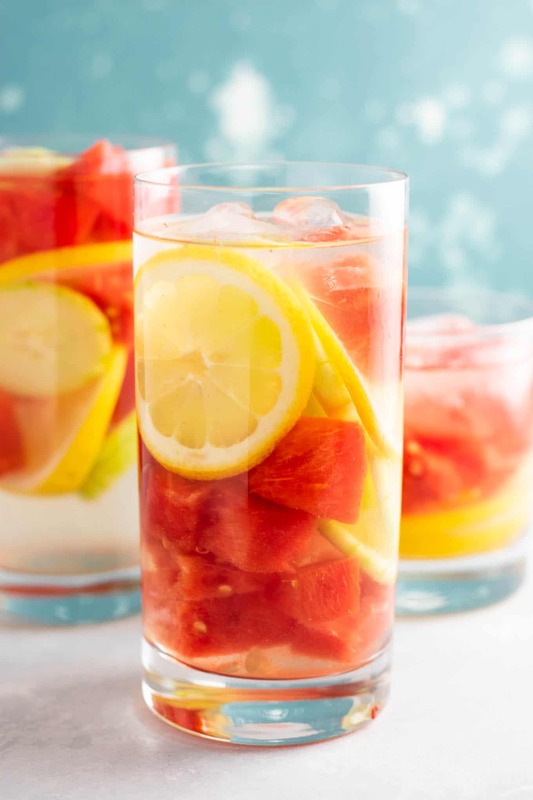 Refill your water once it’s gone to get all of that fruit flavor! Added bonus besides it’s flavor? The health benefits. I used half of a cucumber and one small sliced lemon in addition to the watermelon. 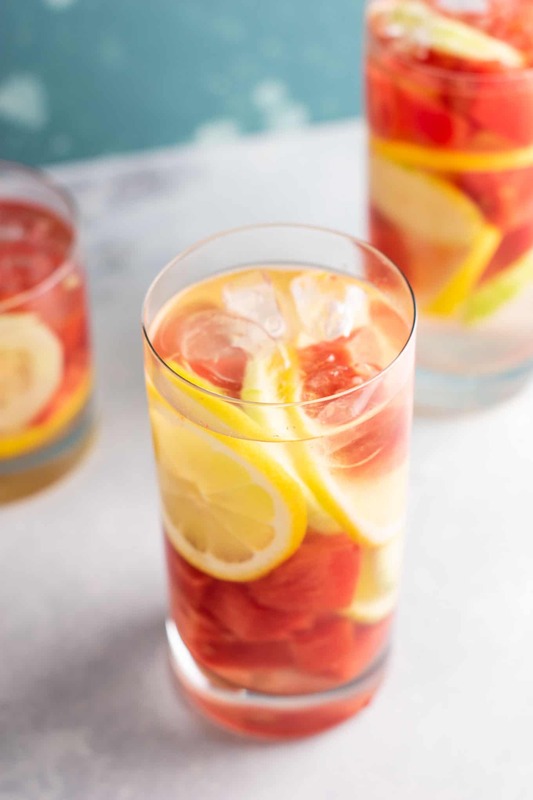 This drink is so light and refreshing. 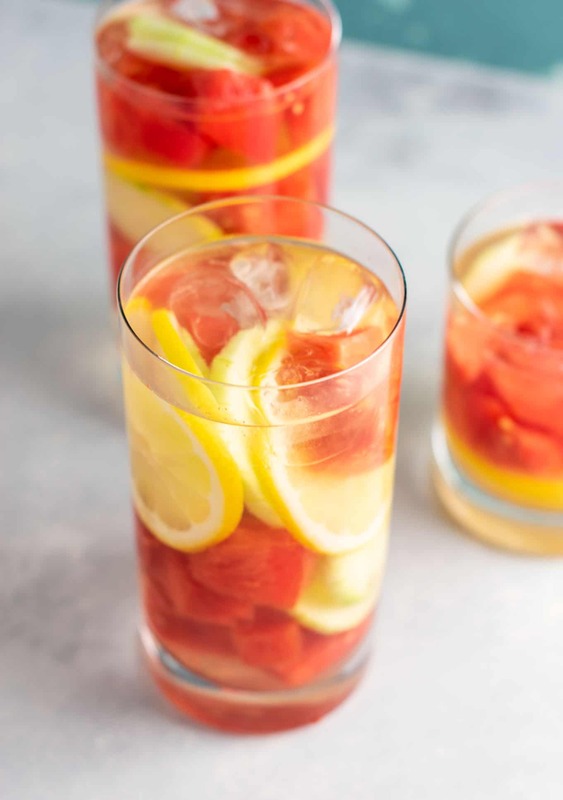 A delicious way to stay hydrated in the heat! This would be a great recipe to prep ahead for busy days. Robbie works outside all day in the heat and would love having a glass of this to help him rehydrate! Feel free to throw in more cucumber or even lime would be nice if you don’t have any lemons on hand. 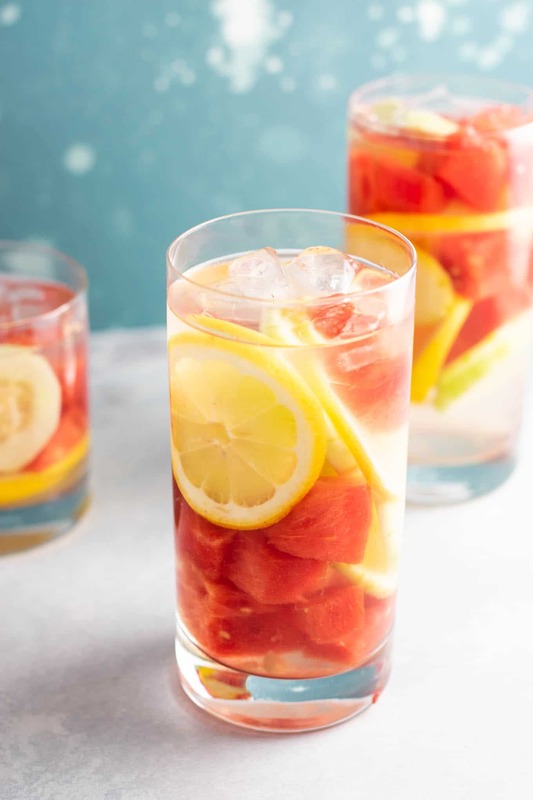 This watermelon detox water recipe is so refreshing and perfect to cool off with on hot summer days! 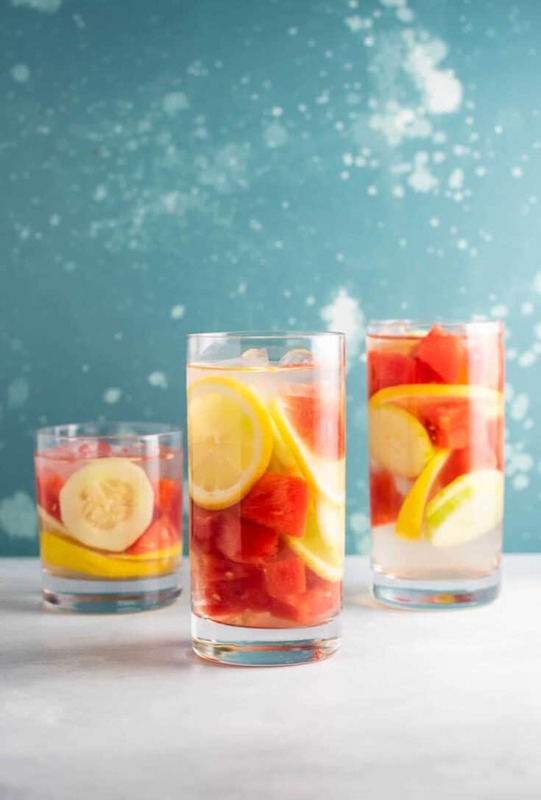 Combine all ingredients in a mason jar or large glass and refrigerate until chilled.